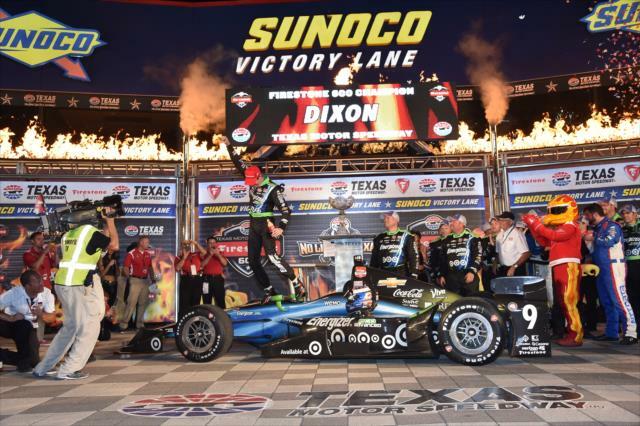 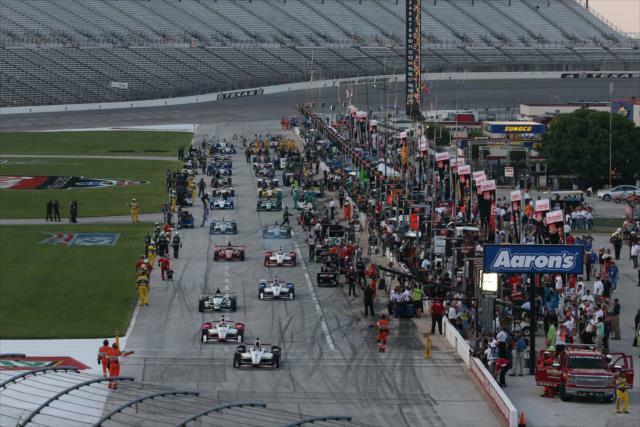 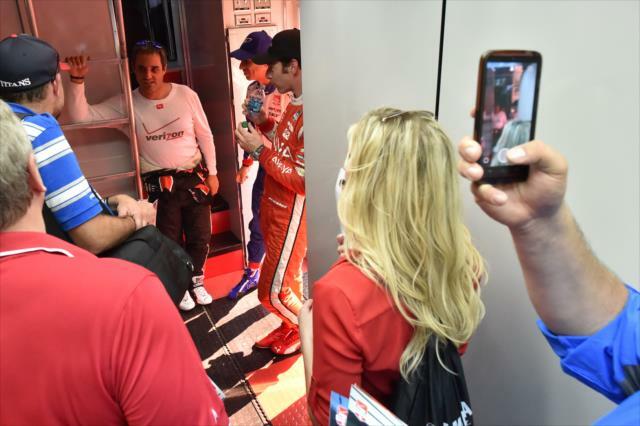 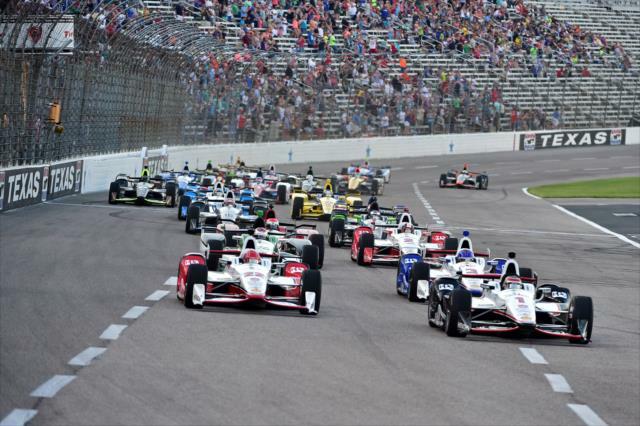 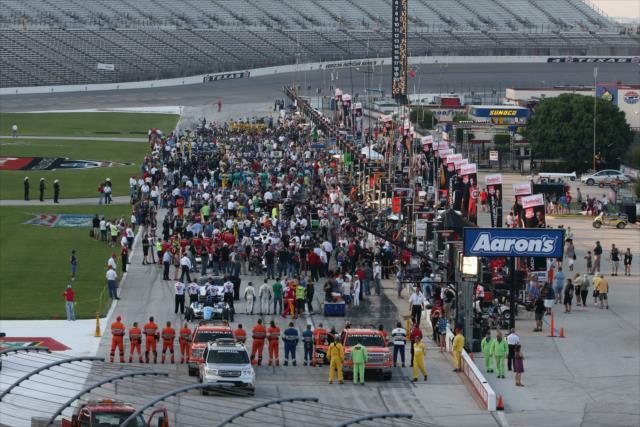 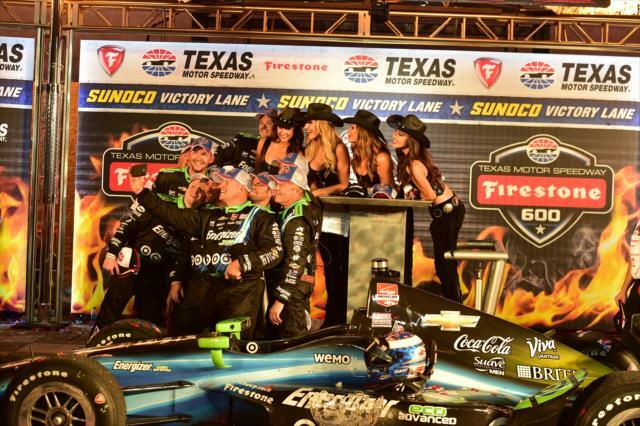 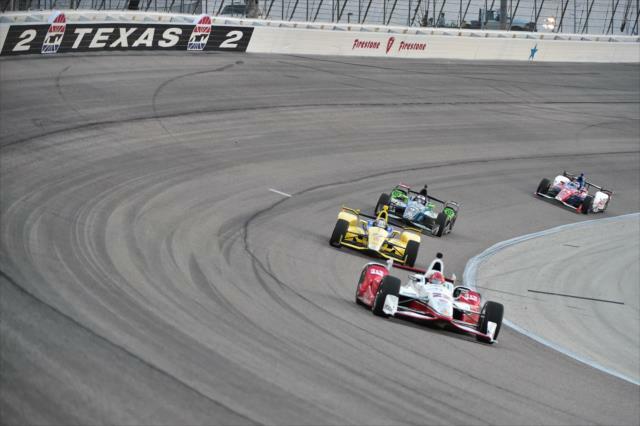 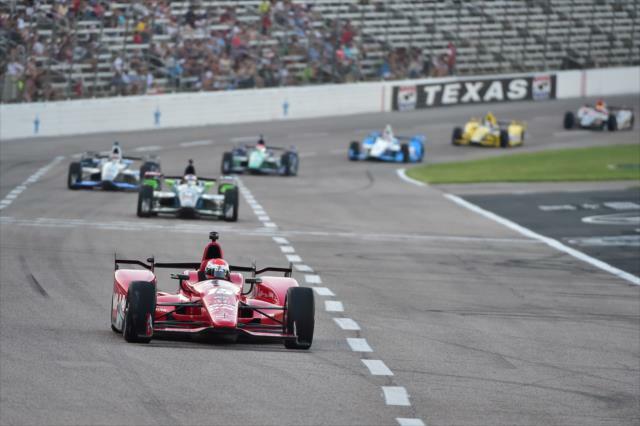 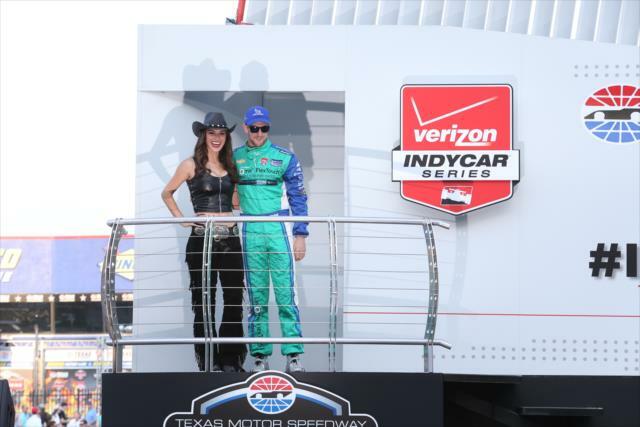 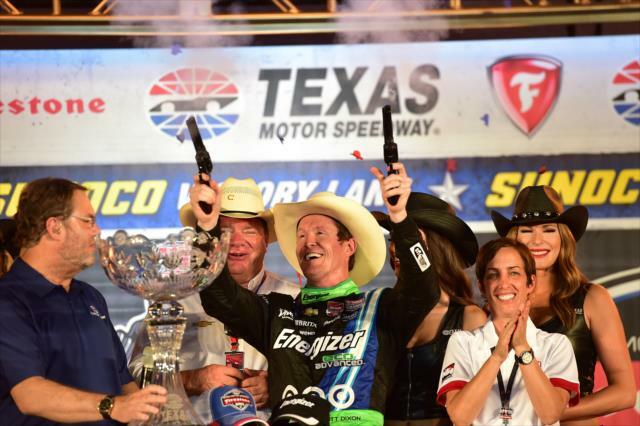 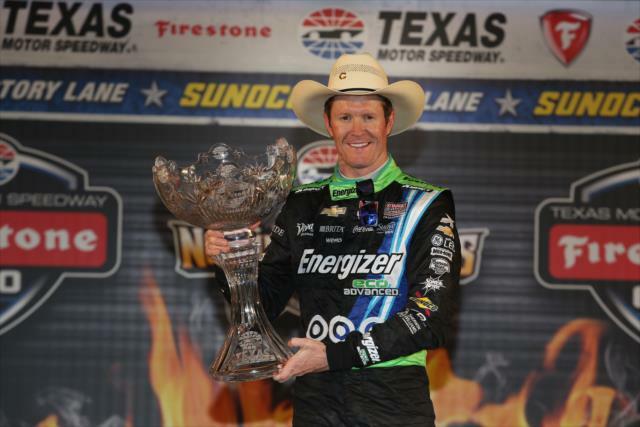 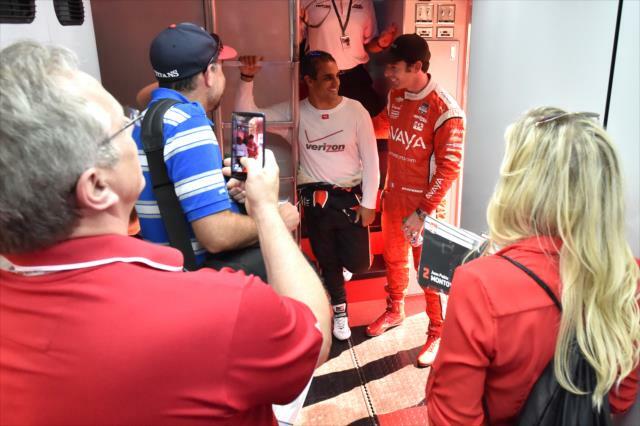 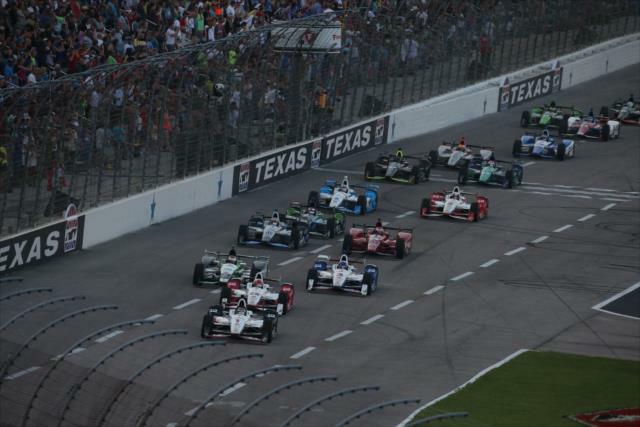 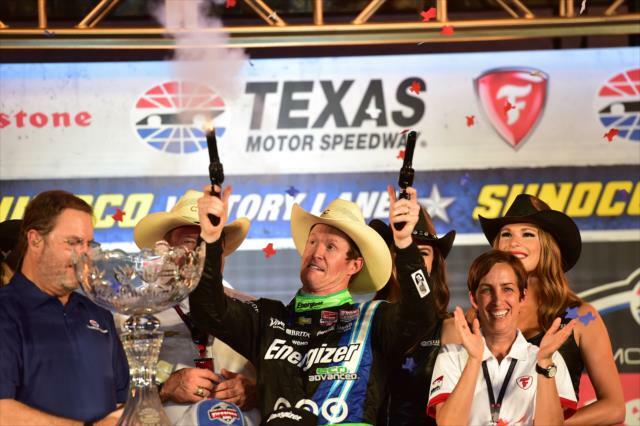 FORT WORTH, Texas -- Scott Dixon made his victory in the Firestone 600 look easy, though the three-time Verizon IndyCar Series champion said it was one of the most hotly-contested and unpredictable in recent memory at Texas Motor Speedway. 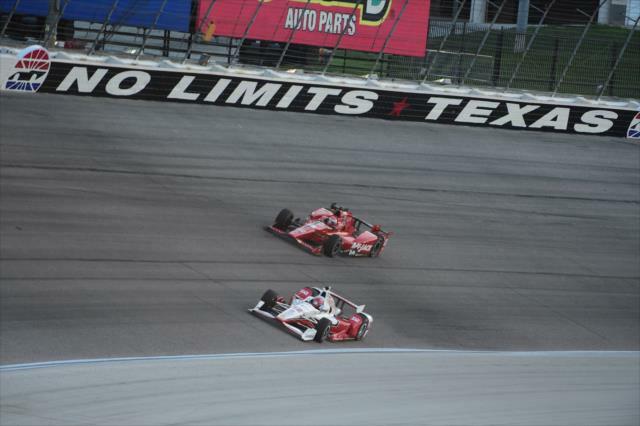 Dixon led 97 of the 248 laps in the No. 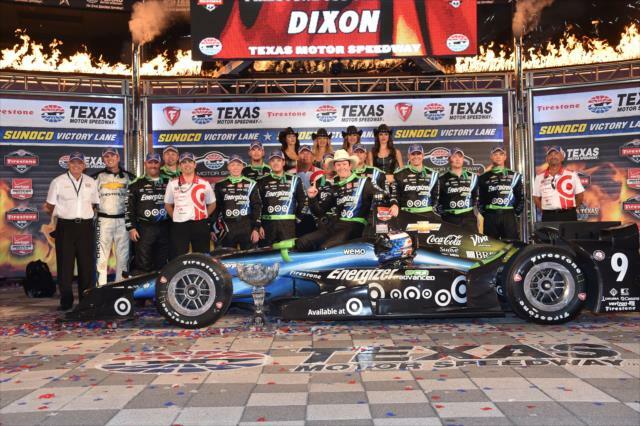 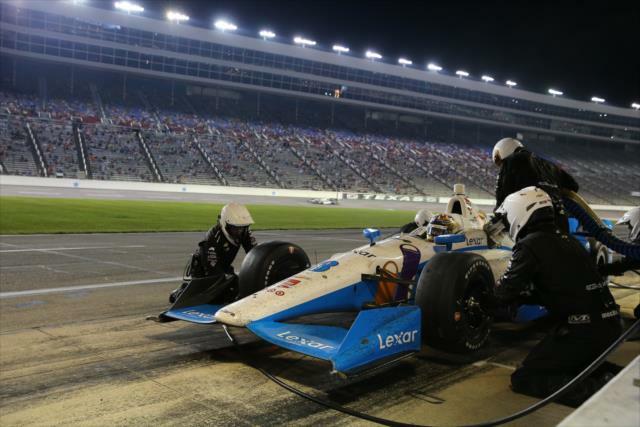 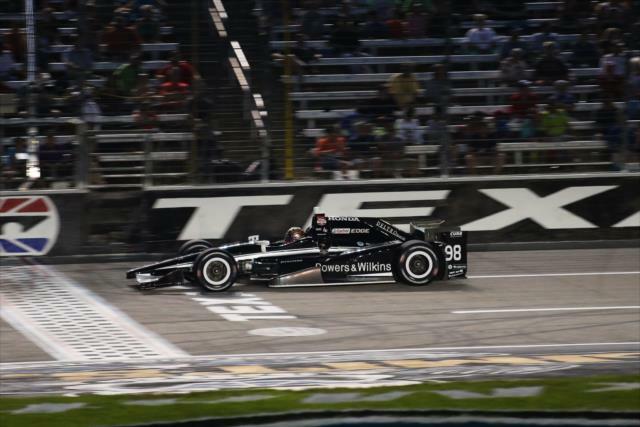 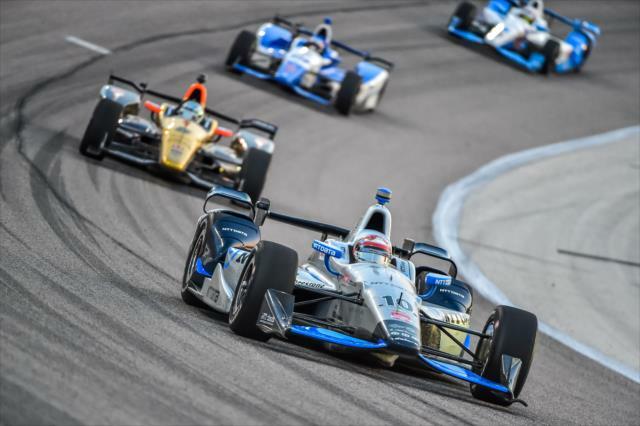 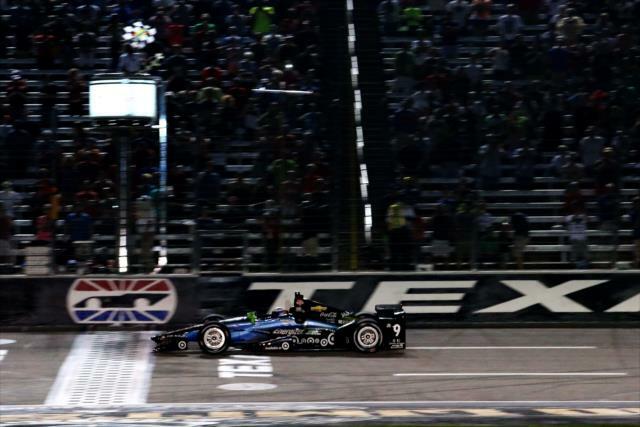 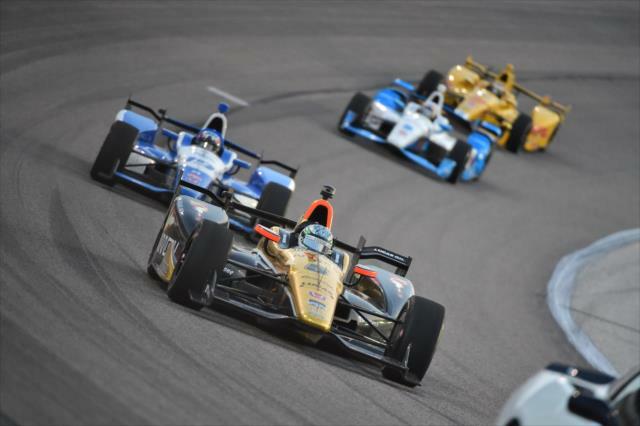 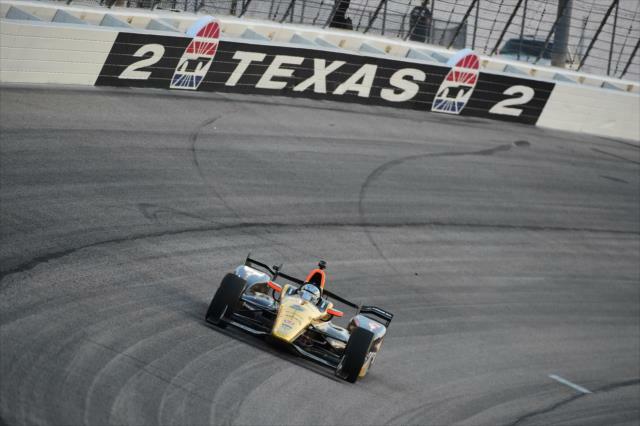 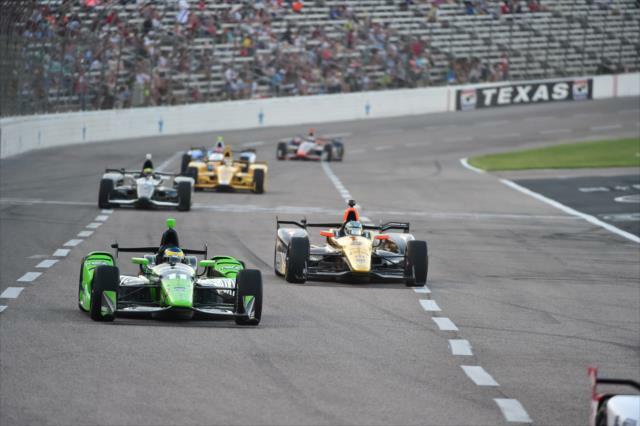 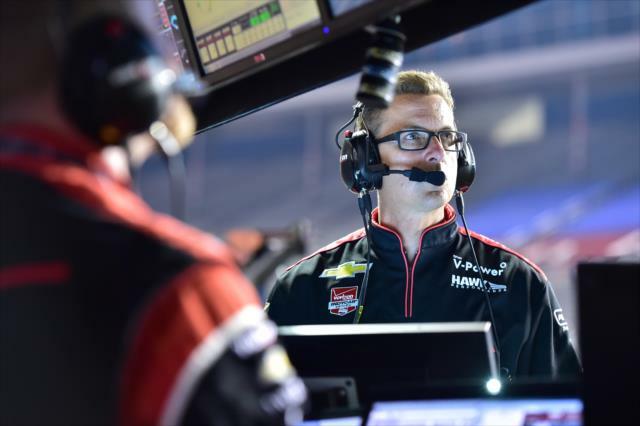 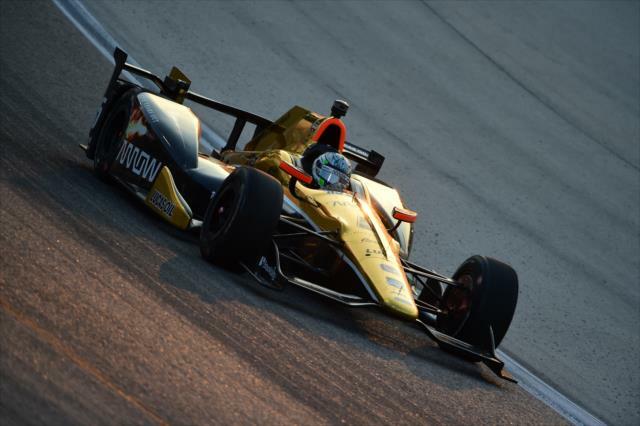 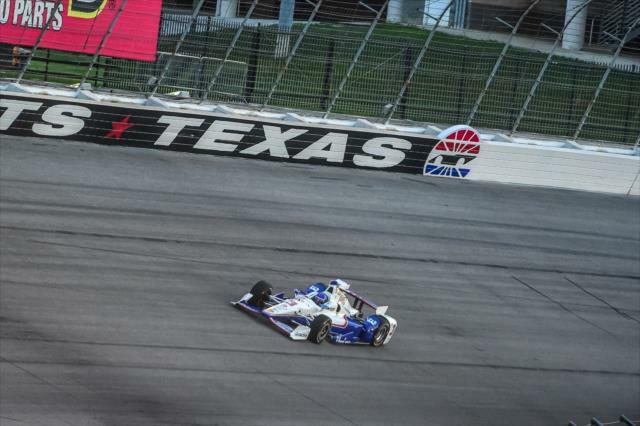 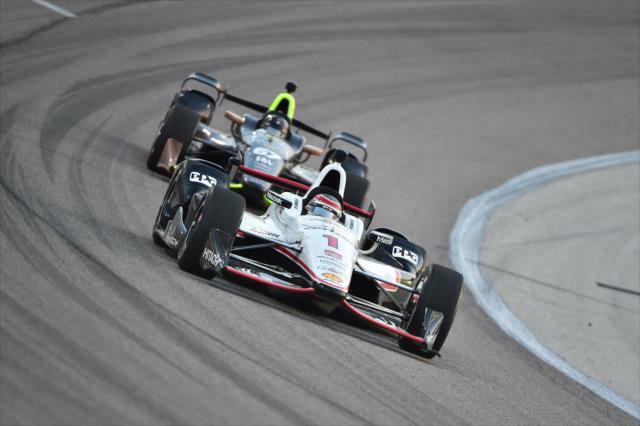 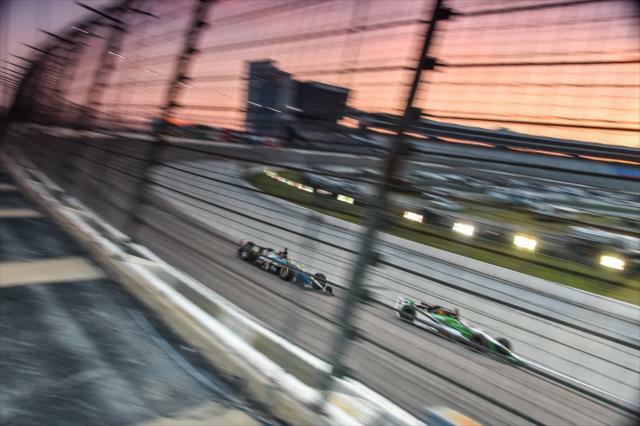 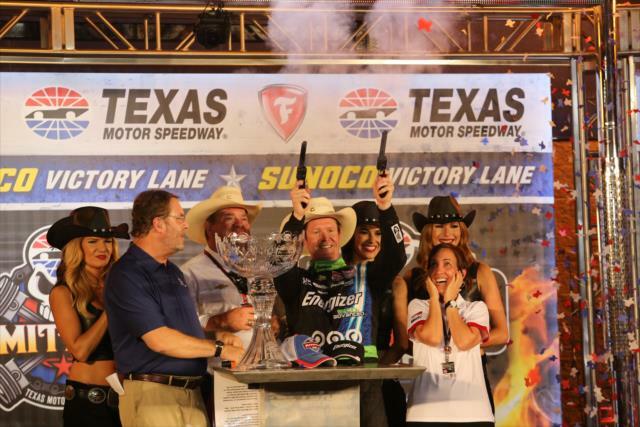 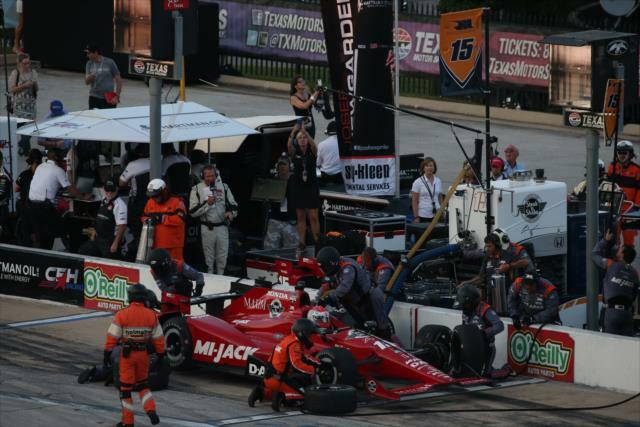 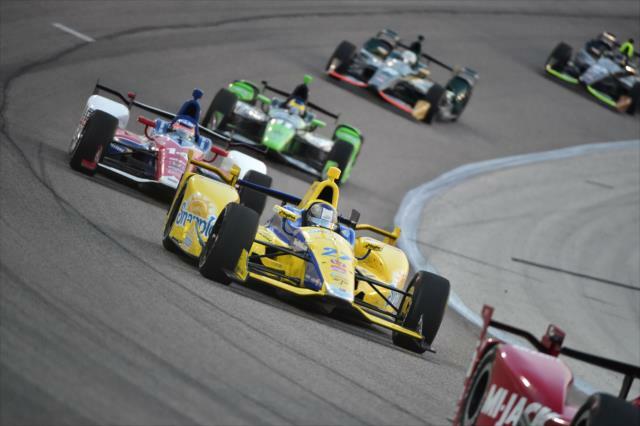 9 Energizer EcoAdvanced Chevrolet to earn his second victory of the Verizon IndyCar Series season and his second at Texas Motor Speedway in the fast-paced race on the 1.455-mile, high-banked oval. 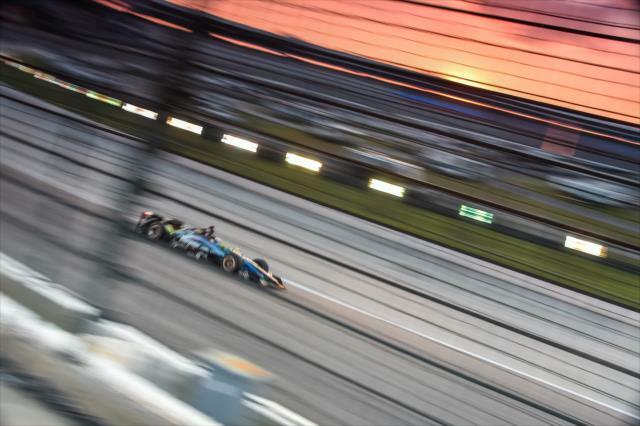 The 191.940 mph average speed set a track race record, which was aided by a lone caution for debris. 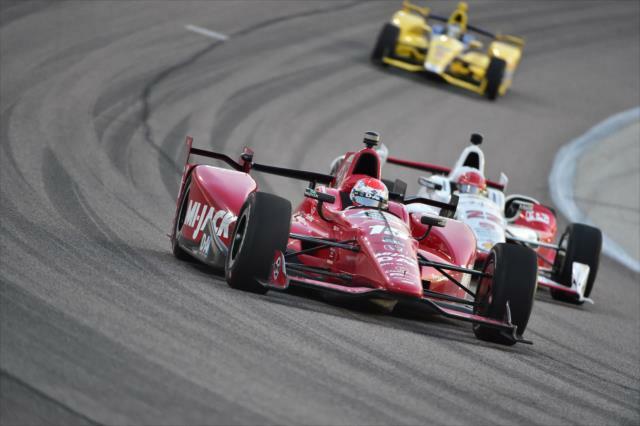 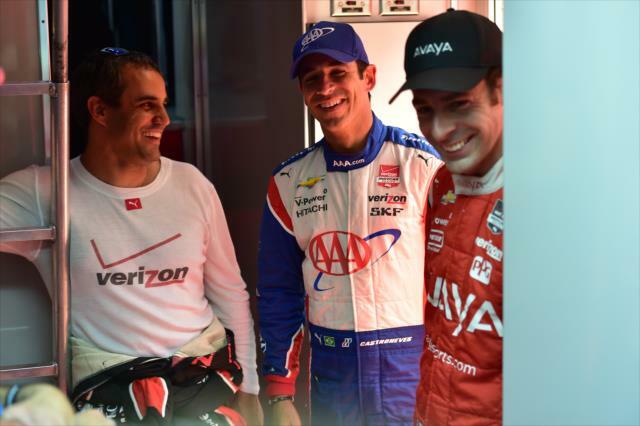 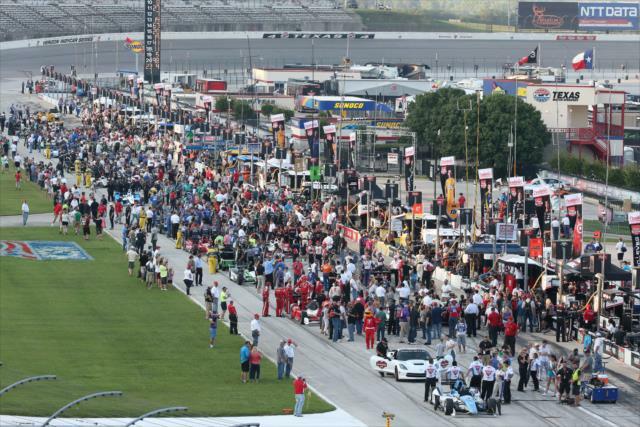 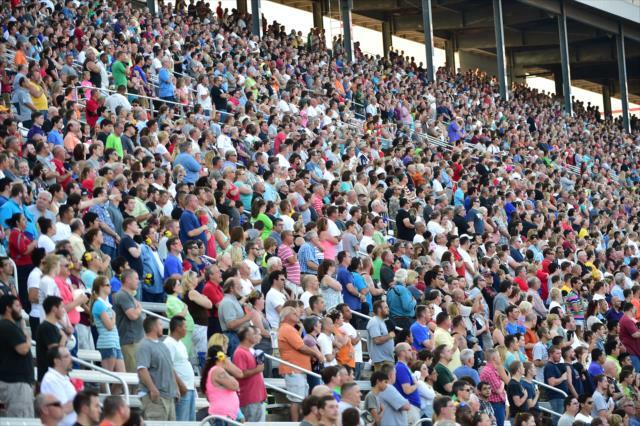 Chip Ganassi Racing Teams teammate Tony Kanaan finished 7.8000 seconds behind in the No. 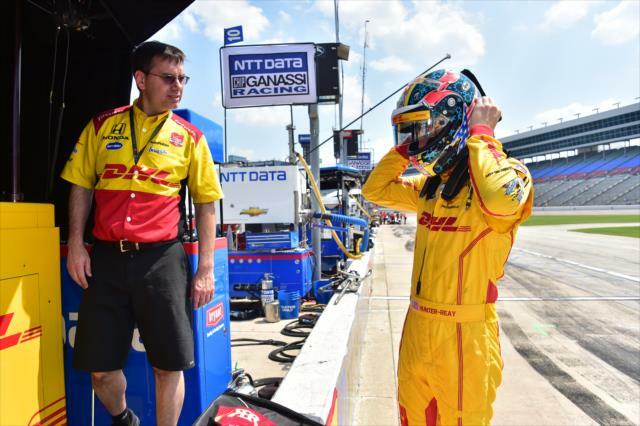 10 NTT Group Chevrolet. 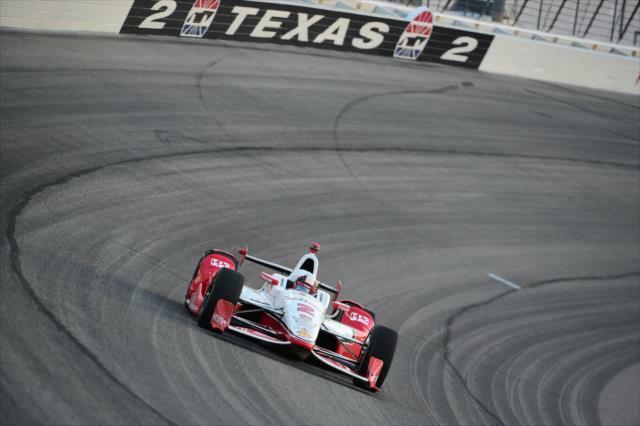 Helio Castroneves, who has won four times on the 1.455-mile, high-banked oval, finished third in the No. 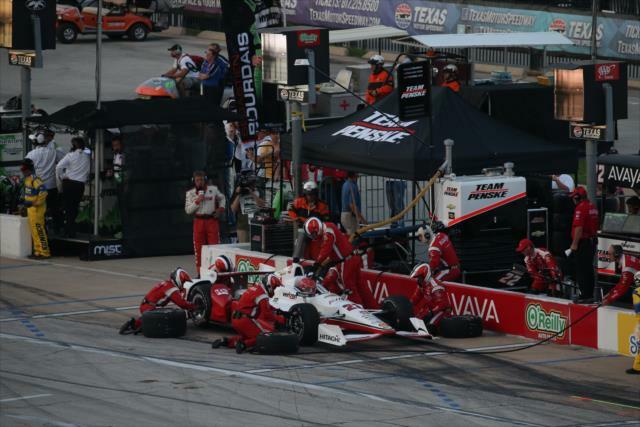 3 AAA Insurance Team Penske Chevrolet. 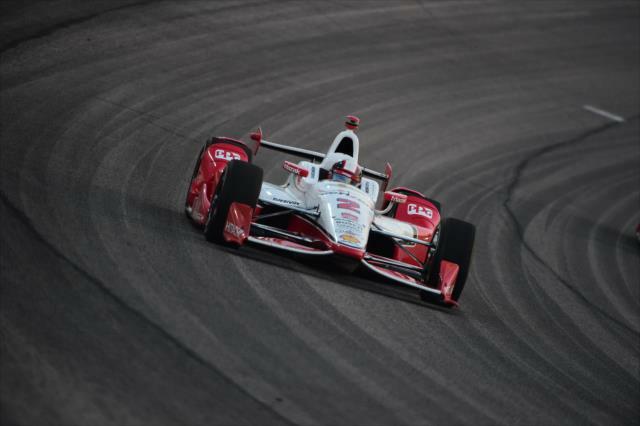 It was the 99th Indy car victory for team owner Chip Ganassi, and his longest-tenured driver picked up his 37th Indy car win. 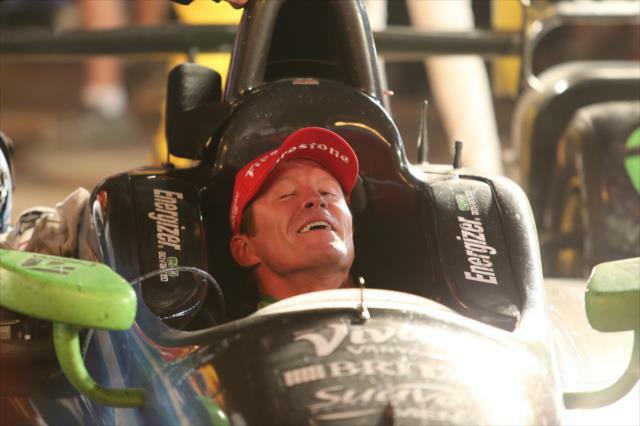 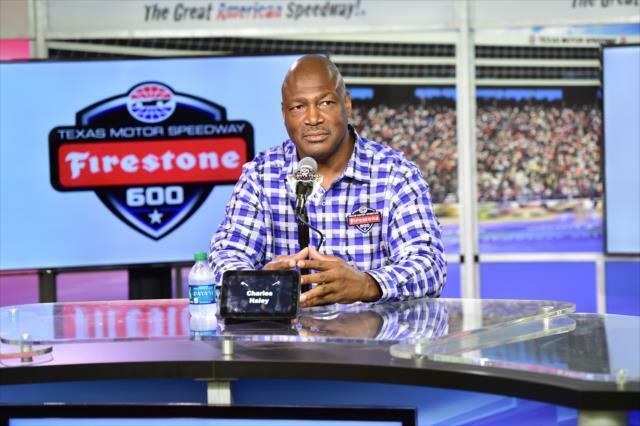 Dixon, who also won at Long Beach in mid-April, stretched his streak to 10 years with multiple wins. 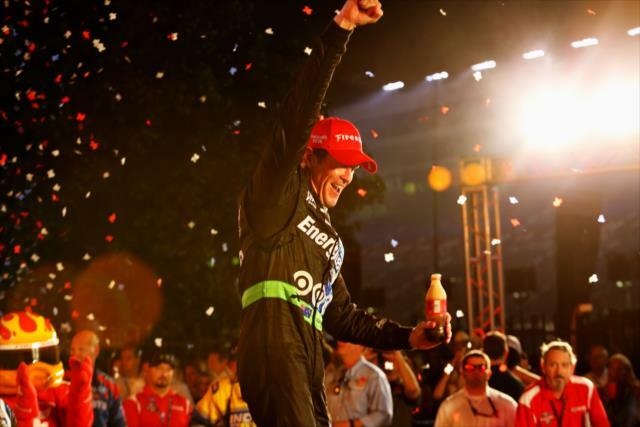 “It’s never easy. 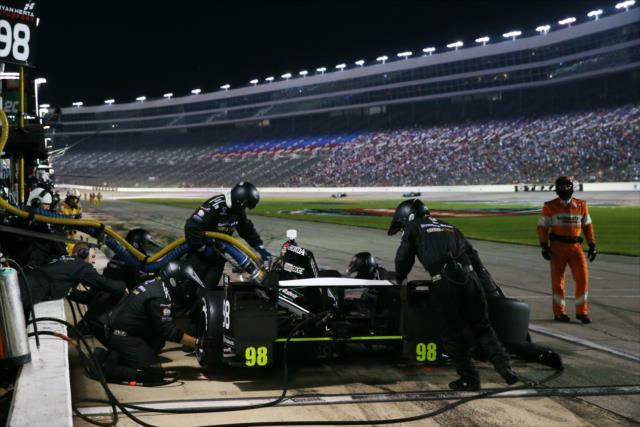 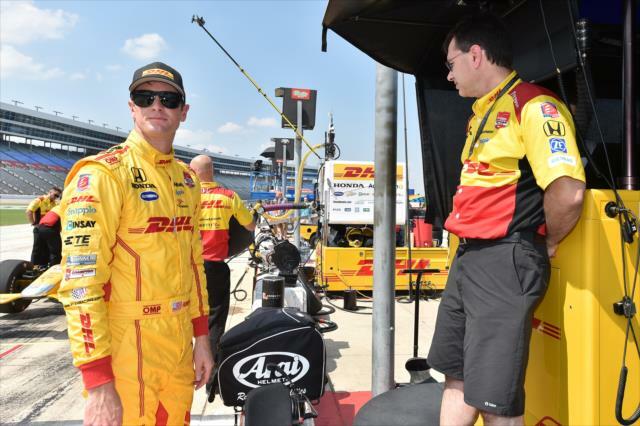 Even toward the second-to-last stint we were just trying to make changes to the car,” said Dixon, who grabbed the lead in a pit stop exchange on Lap 194 and led all but one lap over the distance. 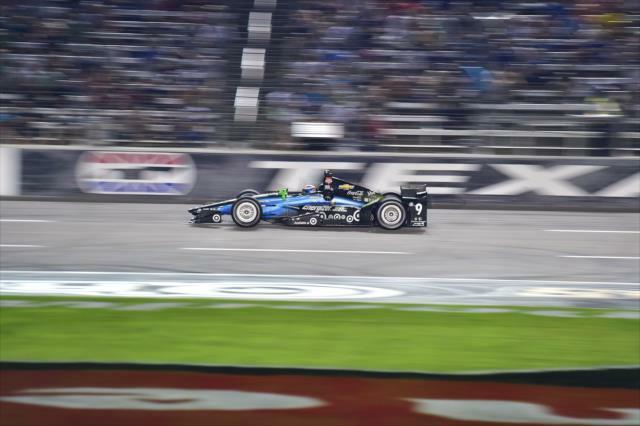 “It didn’t start awfully good because we had a lot of understeer in the car, but once we got the balance right the car was basically on rails. 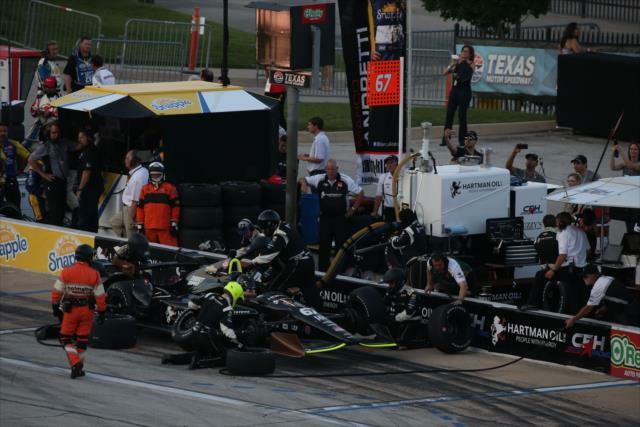 With the pit stop exchange we got the lead and then the car was just very good in traffic and were able to keep the speed up. 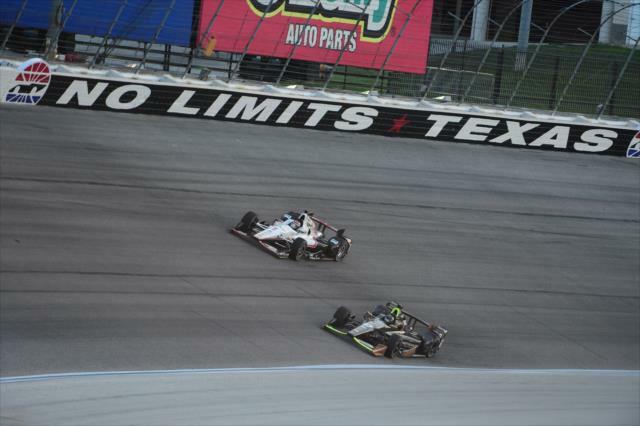 I knew once we got the balance right we could get up there and duel with (Kanaan) to the end. 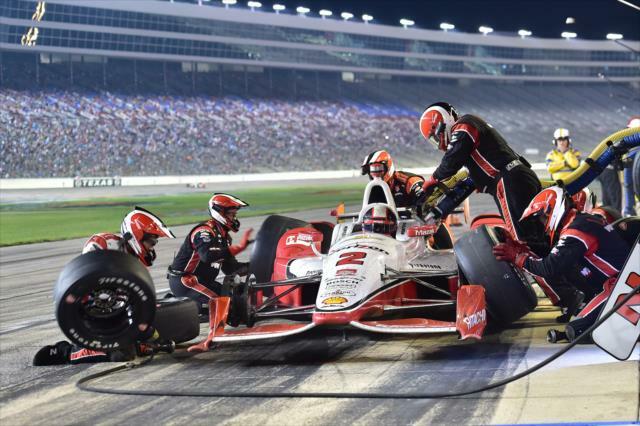 There were 14 lead changes among nine drivers. 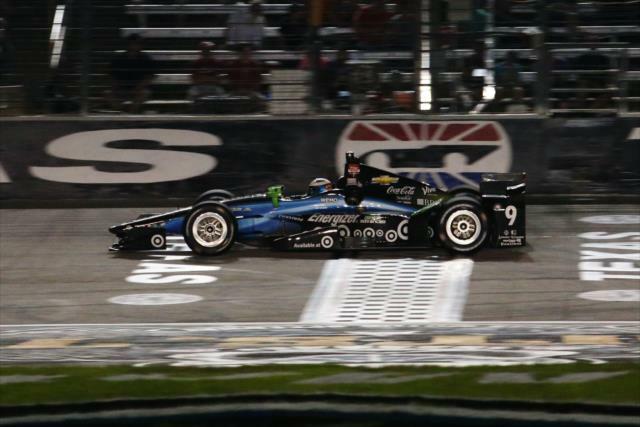 Dixon also won at the superspeedway on June 7, 2008 -- one of his six victories on the way to his second Verizon IndyCar Series championship. 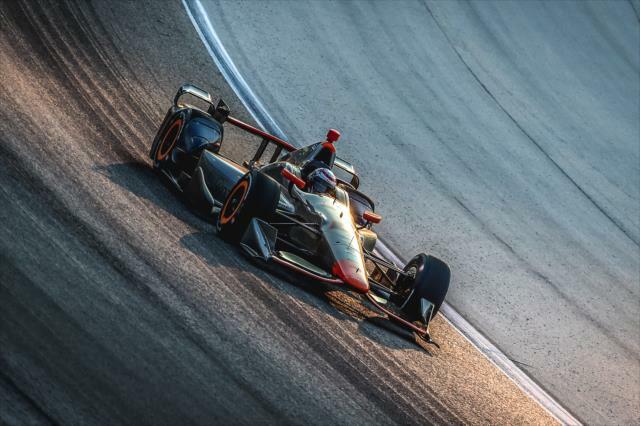 He is third in the standings through nine of 16 races – 43 points behind front-runner Juan Pablo Montoya heading to the June 14 Honda Indy Toronto, where he swept a doubleheader on the street circuit in 2013. 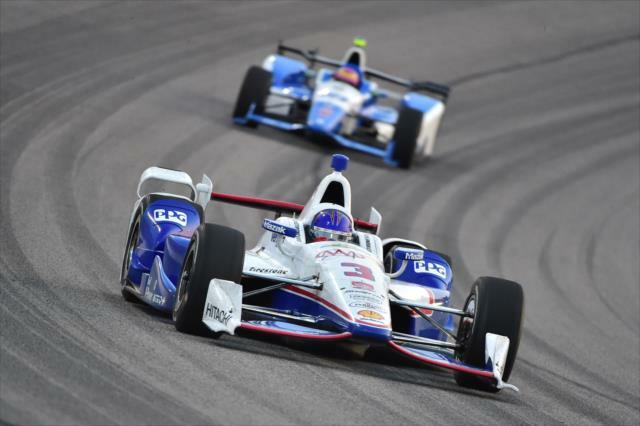 Kanaan, who earned his 121st Indy car top-five finish, led 57 laps mid-race. 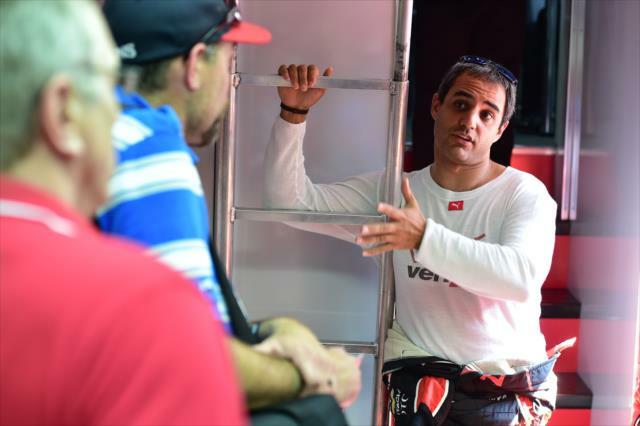 Montoya increased his points advantage to 35 over Team Penske teammate Will Power with a fourth-place finish. 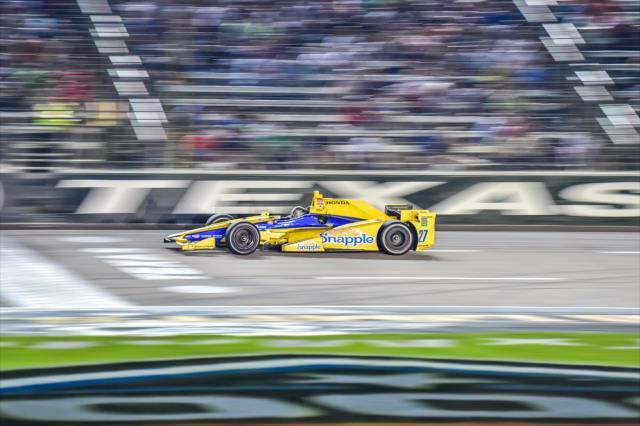 Marco Andretti, who started 11th in the No. 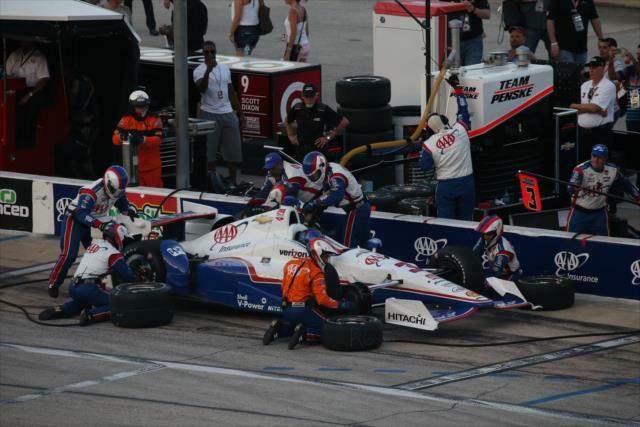 27 Snapple Honda for Andretti Autosport, placed fifth for his third consecutive top five. 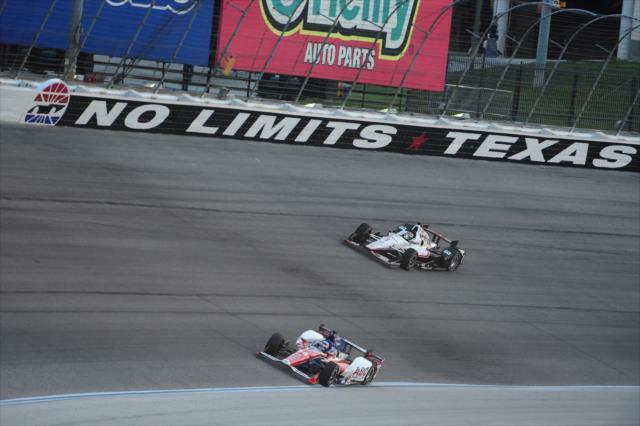 Power, the pole sitter, led seven laps but faded to 13th in the No. 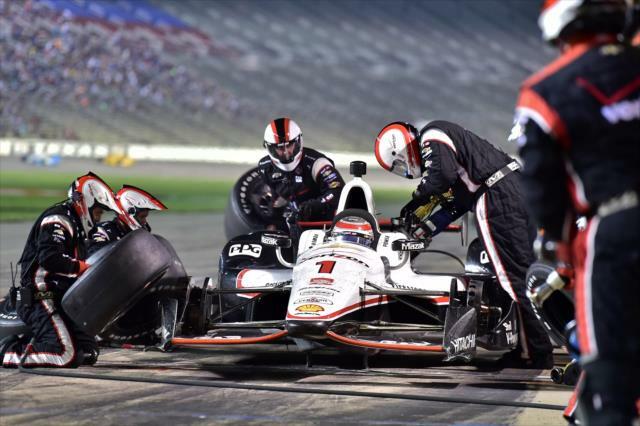 1 Verizon Team Penske Chevrolet.